Dan is a professor of Public Health at the Great Lakes University of Kisumu where he currently serve as the Vice Chancellor. He obtained his PhD in Tropical Medicine from the Liverpool School of Tropical Medicine and Hygiene. Prior to this he received his MPH in Tropical Public Health from Harvard School of Public Health and a Medical Degree from University of Nairobi. He has been involved in the promotion of community based health care in many parts of the world for over 30 years. 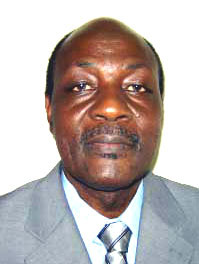 As a Public Health expert, he has led several networks for Primary health care such as the Christian Medical Commission, as a pioneer of PHC even before Alma Atta, International Federation of the Red Cross, Africa Action network for Health (Afri-CAN), Universities in Solidarity with disadvantaged communities (UNISOL), and Social Aspects of HIV AIDS Alliance (SAHARA). Over the past years he has been actively engaged in health systems and policy development activities at the national level. He has been involved in action oriented research in community health and development with research focus on health systems improvement and management. He was engaged in improving the performance of District Health Systems in Kenya, where he spearheaded the development of the community strategy for Kenya which was tested in six pilot Districts in Nyanza before it was scaled up in the whole country in Kenya as a policy. He has authored/co-authored more than 50 refereed journal articles and book chapters. Dan has developed a distinguished professional experience in providing technical and advisory services to governments, NGOs, inter-governmental, multi lateral, bilateral and other international agencies in the implementation of health and development programs in Africa. My role involves a unique mix of academic, practical, programmatic, managerial, research and consultancy leadership. He has undertaken over 100 consultancy tasks carried out for many international institutions and governments in as many countries in Africa and elsewhere over the last 30 years. 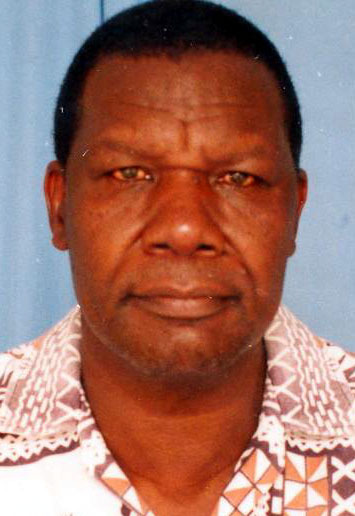 Professor Muga is currently an Associate Professor of Child Health at the Great Lakes University of Kisumu. Previously, he served as the Chief Executive Officer of the National Coordination Agency for Population and Development (NCAPD) in the Ministry of Planning and National Development. As a trained paediatrician and public health specialist, he has been involved in health systems management at all levels as he held responsible positions at community, district, and provincial levels. He served as the country’s National Director of medical services from before joining the University as professor of child health and Health Systems Development. He has been involved in service delivery, management and policy development. Prior to joining full time teaching assignment Prof Muga taught for a number of years as part time lecturer at the Tropical Institute of Community Health and Galilee college sponsored programmes. Prof. Muga holds a Masters degree in Child Health and Post-graduate Diploma in Health Systems Management. He has over 30 years of Public Service most of which involved leadership and health systems management at different levels in the health sector. He has served as a member in the Country’s Coordinating Mechanism (CCM) for the Global Fund. He also served as the head of health sector reform programme during which he championed resource mobilization for the health sector in Kenya. His main areas of interest include health systems management, health systems research, planning of health services, and donor support negotiations. He has had opportunity to interact in different local and international fora, which included short courses in Israel, WHO conference in Geneva and short course at Harvard University in Boston. During his public service, he received Head of State awards for dedicated service and these included MBS, OGW. (MBS-Moran of the Burning Spear) OGW-Order of the Grand Warrior). One of the latest National Assignment he held was Chairing a National Taskforce on Commodity Supply Chain in the health sector. He finalised a report presented to the Minister for Medical Services during the month of October 2008.